Dollar Store Crafts recently featured my Dollar Store Abstract Expressionism project. 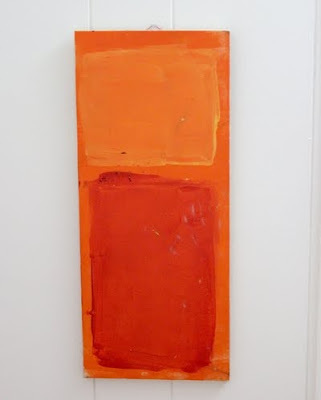 Heather, the queen of Dollar Store Crafts, earlier made this Mark Rothko look alike pictured above, which is a great project for adding a little color to your interior. Get the full how-to at DSC. 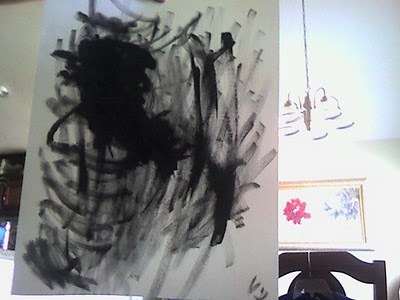 Momma of Two at My Search Within did her own black and white abstract expressionist work inspired by mine. There's a lot of energy in that painting, don't you think? Have you ever DIY'd your art? Inspirational Bromeliad! I'll think of this whenever I see overpriced mass market abstracts in the shops, and one day wield my own brush. 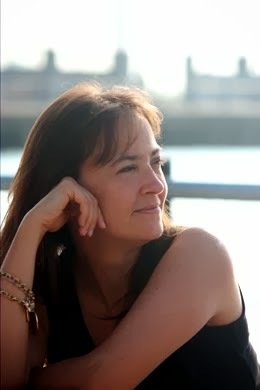 I sure love your b/w version! Who can resist an abstract? The orange one look really good. I keep promising myself that I'm going to do a few. I used to paint quite a bit (not well but enthusiastically).Now, if I paint anything it's usually for decorative purposes and I consider non-artistically motivated paintings more decor than art. But yeah, love the idea of this.